Equifax’s disclosure that hackers had absconded with the personal data of 143 million Americans after exploiting a vulnerability in the company’s cyber defenses that was largely the result of negligence has sent its shares spiraling 37% lower. And now, Bloomberg is warning that the shares of certain troubled lenders – which have already largely underperformed this year – may also be vulnerable as the fallout from the hack works its way through the US economy. Consumers who’ve learned that their data were potentially compromised are rushing to freeze their credit, creating a major problem for lenders like Synchrony Financial and Alliance Data who specialize in retailer partnerships that offer store-branded credit cards – a once-lucrative business that has struggled as same-store sales and a flurry of bankruptcies have beset the retail sector. ‘Equifax Inc.’s massive data breach could make an already tough market outlook even more daunting for the firms behind Gap Inc.’s and Ann Taylor’s store-branded credit cards. Those retailers’ banking partners, including Synchrony Financial and Alliance Data Systems Corp., could see account originations fall off a cliff if consumers freeze their credit to protect themselves from fraud. Consumers have to take extra steps – including calling the credit bureau, going online or paying fees – to lift a block and get a new card. Today we will zero in on one of those forces, which last week I called ‘the bubble in government promises,’ which I think is arguably the biggest bubble in human history. Elected officials at all levels have promised workers they will receive pension benefits without taking the hard steps necessary to deliver on those promises. This situation will end badly and hurt many people. Unfortunately, massive snafus like this rarely hurt the politicians who made those overly optimistic promises, often years ago. This post was published at Mauldin Economics on SEPTEMBER 16, 2017. US THREATENS CHINA! – "We WILL Cut You Off From Dollar!" It’s been a bad week for Bitcoin. BTC China, one of the country’s largest crypto exchanges, said in a tweet Thursday it plans to shutter operations by Sept. 30 as Chinese authorities crack down on cryptocurrencies. Bitcoin responded, falling nearly 21% in a 24-hour period. But despite the rocky week, some analysts say this doesn’t necessarily spell doom and gloom for Bitcoin, or cryptocurrencies in general. According to Cointelegraph, some in the cryptocurrency world say the moves by China will actually prove beneficial in the long-run. This post was published at Schiffgold on SEPTEMBER 15, 201. With each passing day and each new ICBM launch from a seemingly unhinged North Korean dictator, the fears of an attack on the U. S. mainland, though faint, increasingly weigh on the hearts and minds of Americans, particularly those in California. As The Guardian points out today, those fears have even prompted a group of California public health officials and emergency responders to gather for a strategy session with Hal Kempfer, a retired marine lieutenant colonel, to discuss which areas are the most likely targets and how citizens should respond to an attack. This post was published at Zero Hedge on Sep 15, 2017. Update 1: After hearing from her former chief of staff earlier, British Prime Minister Theresa May has also now weighed in on Trump’s tweets from this morning which have largely been interpreted as a criticism of the UK’s security services for failing to prevent today’s terrorist attack in London. Since the warning about Cryptos was posted on the site over a week ago, entitled The Cryptocrash and Gold, Cryptos have plunged about 30% and more still if you factor in overnight losses, not helped of course by the expected development of China banning them. So now what? – is this the start of the bursting of this monstrous bubble? It could be – looking at the 6-month chart for the Bitcoin Investment Trust, which serves as a Bitcoin proxy, we can see that the volume pattern around this latest peak definitely looks negative compared to that around the last peak back in June, with modest volume on the rally and heavy volume on the decline this month. This post was published at Clive Maund on September 15, 2017. As equity markets spike to all new highs with each passing day, the number of fiscal crises springing up within local and state governments around the country are reaching somewhat alarming levels, even if they’re being completely ignored by investors. As Reuters notes this morning, the state of Pennsylvania may become the latest example government failure when it runs out of cash later tonight leaving some $860 million worth of bills unpaid. Exactly one week ago, Prime Minister Gaston Browne surveyed the damage on his tiny Caribbean island of Barbuda and declared that Hurricane Irma had completely devastated the island and left 90% of all dwellings leveled. Browne went on to say that Irma’s “absolute devastation” meant that Barbuda was “basically uninhabitable” for the 1,800 people who called it home. Ever since failing miserably in their efforts to appoint Hillary Clinton to her rightful throne in the Oval Office, Silicon Valley’s biggest tech titans have come under relentless attack from disappointed liberal politicians in DC and their primary propaganda distribution platforms, the mainstream media. Just last night, on the Rachel Maddow show, Hillary once again blamed Facebook for her 2016 loss and vowed that “we’re going to make Facebook own up to everything” (you can watch the full interview here). The irony, of course, is that perhaps no one contributed more money to getting Hillary elected than the same Facebook execs that are now coming under pressure for ‘colluding with Russia” after admitting that a staggering $50,000 worth of ads may have been bought by potentially Russian-linked accounts on their platform. In fact, Facebook co-founder Dustin Moskovitz even contributed $20 million of his own money to the Democratic efforts in 2016, which we believe is slightly more than $50,000 but we’re not great at math. Hurricane Irma crushes Florida North Korea test fires ICBMs across Japan (again) Economic data misses across the globe (China and US most notably) Terrorism in UK and France And the result – drum roll please – new record highs for The Dow, The S&P, and The Nasdaq… with The Dow’s best week of the year!! 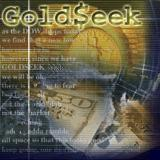 This post was published at GoldSeek on 15 September 2017. The Federal Reserve has been jawboning their intent to unwind their almost $4.5 trillion balance sheet, nearly all of which is either Treasurys or mortgage-backed securities. The Fed’s Balance Sheet has pretty much been on hold (treading water) since 2014 and the end of QE3, their third round of asset purchases. But the System Open Market Account (SOMA) report from 9/13/2017 shows that The Fed actually added around $15 billion to its balance sheet. This post was published at Wall Street Examiner on September 15, 2017. REALIST NEWS – To Hell In A Bucket – Nobody Cares About the National Debt?